The packaging that your product is enclosed within is an integral part of your overall marketing strategy. Beyond creating the image of a container, the packaging builds the personality of the product by conveying corporate identity and brand essence. The quality of the printing and design of your packaging determines a first purchase, while the quality of your product will bring repeat business. Packaging and labeling are just part of our totally integrated range of services designed to help you market, package, sell, and deliver your products and services. Streamline your marketing supply chain and allow us to become a reliable strategic partner and your single point resource for printing, packaging and labels. 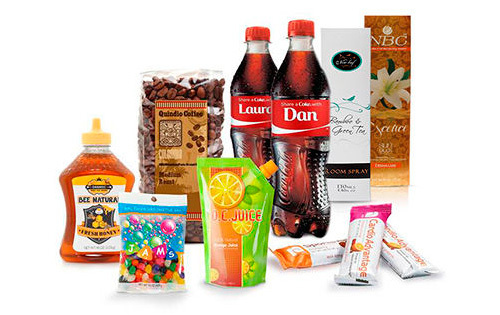 Still Creek Press can provide you with numerous packaging solutions in order to create a package that has impact in the market. Preserve brand equity and security, enhance shelf appeal, and drive efficiency from design through print production with our comprehensive range of offset and digital products and services. Our Print Made Easy sales representatives as well as our print and design specialists will provide you with the consulting and guidance throughout the entire process from the creative phase to the finished product. We are committed to getting the job done beyond your expectations. To learn more, contact us and tell us more about what kind of package or label you envision for your product. If you need assistance figuring out what type of package or label will work best for your product, including size, shape, material and graphics, we can help you in all those areas. Contact us today for a package printing quote. Want more information on packaging printing? Upload files for printing. A member of our sales team will be in contact with you regarding your files. Request a quote for packaging printing. A member of our sales team will be in contact with you regarding your request. Contact us for more information about our packaging printing services.